Hillary: Quick! What should I do to get all these Latin people excited about me and stuff? Latino adviser: Just tweet something; pepper some Spanish words and make sure to mention a fiesta. You’ll be just fine. 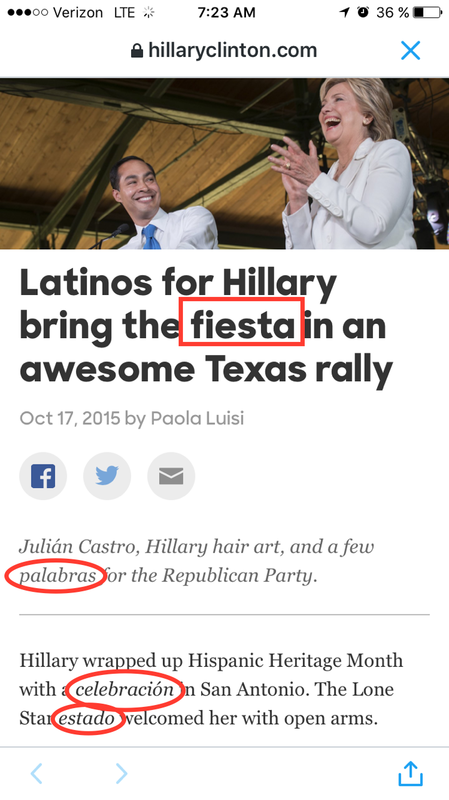 This entry was posted in 2016 presidential campaign, Language, Latin America, Politics and tagged Hillary Clinton, Julian Castro, Latinos for Hillary. Bookmark the permalink.